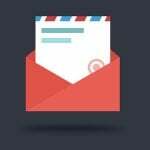 Customer information is regarded as the key to build business strategy, especially customer-oriented plans. Magento 2 Customer Attributes extension is the perfect solution for you to collect extra customer data. By creating additional customer attributes, you can add any question to the Registration Form, for example: How do you know about us? What is your job?… The more information you get, the more advantage you gain. 1.1 Does Magento 2 Default Support Customer Attributes? 1.3 How Can Magento 2 Customer Attributes Extension Benefit You? 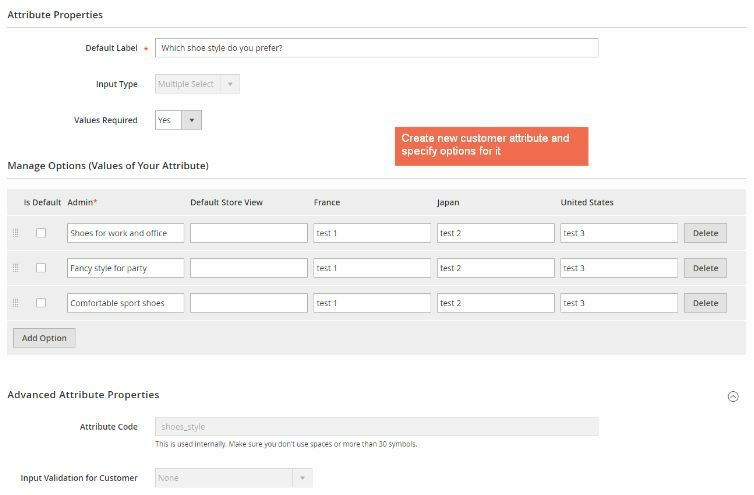 Magento 2 Customer Attributes extension allows you to create customer attributes with eight different input types. These customer attributes are displayed as additional fields on the Registration Page when customers want to create a new account. 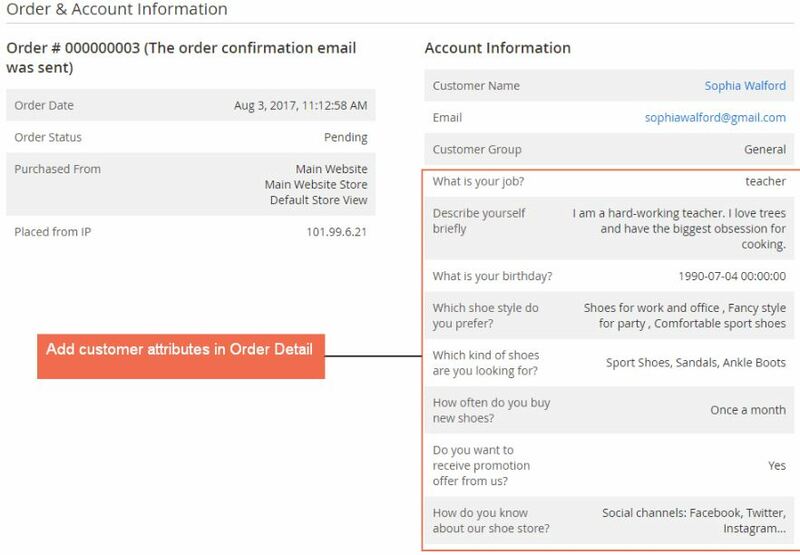 After customers fill in the custom fields, the data is collected and added to the Customer Grid, Customer Detail Page and Order Detail Page. Customers can also check this information on the Account Information tab of the Customer Account Page in the frontend. 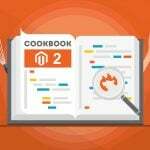 Does Magento 2 Default Support Customer Attributes? The customer attributes function is only available on Magento 2 Enterprise Edition, not the Community Edition. 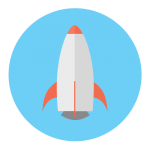 BSSCommerce Customer Attributes extension is created to fulfill the need of creating custom fields in the Registration Page for the Community Edition. 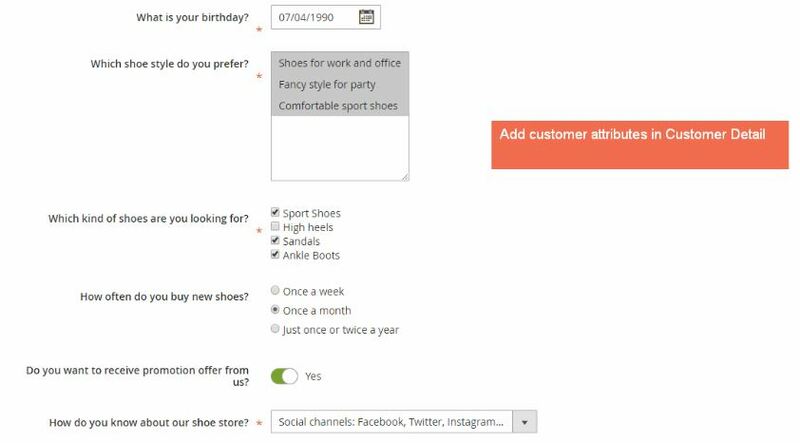 Create customer attributes with eight different input types: Text Field, Text Area, Date & Time, Yes/No, Multiple Select, Drop-down, Radio Button, Checkbox. 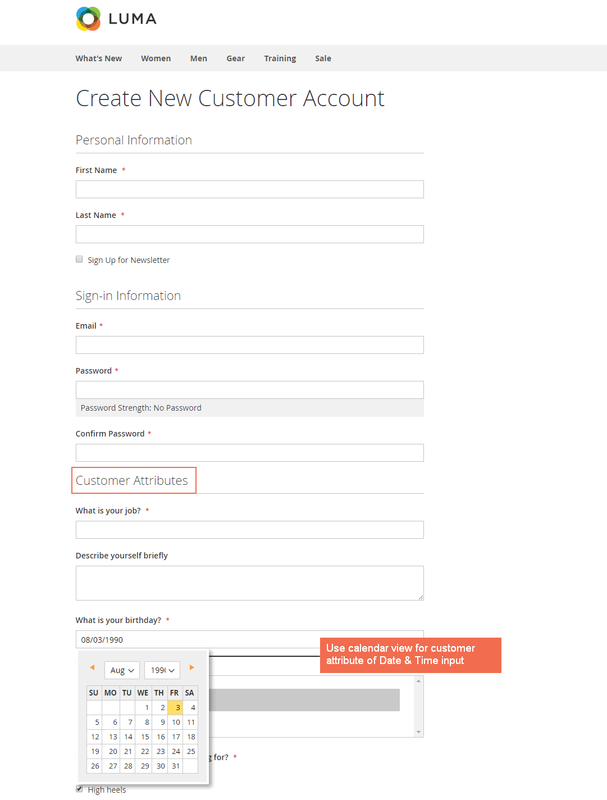 Display customer attributes on Registration Form and Customer Account Page. Add customer attributes in Customer Detail Page, Customer Grid and Order Detail Page. Set up different customer attribute values for multiple store view. How Can Magento 2 Customer Attributes Extension Benefit You? The registration form of Magento 2 default only provides limited fields that restrict store owners to ask more questions for customers. Customer Attributes for Magento 2 extension of BSSCommerce helps you tackle that issue by creating new customer attributes on the registration page. You can quickly obtain any extra customer information through the custom field on the sign-up form. The extension provides a useful tool to gain more data, thus segment customers and develop better strategies. 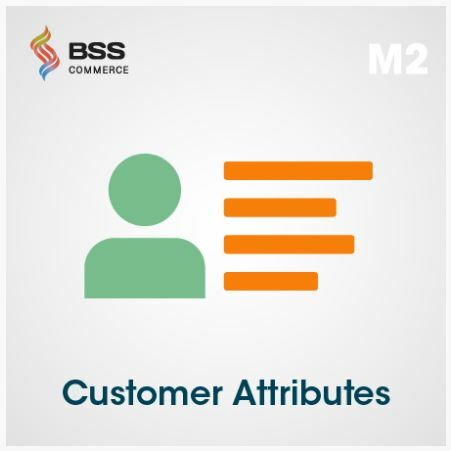 With Magento 2 Customer Attributes extension by BSSCommerce, you can enable the extension and create as many new customer attributes as needed. Firstly, you can enable or disable the extension and change the title for the Customer Attributes block on the Registration Form. The Customer Attributes Grid shows all customer attributes with seven columns, including Attribute Code, Default Label, Required, Used in Customer Grid, Status, Sort Order, and Action. This grid allows you to execute necessary actions like a default grid in Magento 2, such as filter, mass action (delete, update status). You can create a new customer attribute by clicking the Add New Attribute button. Then, you move to the New Attribute Page which contains three tabs: Properties, Manage Labels, and Display Configuration. In Properties, there are two main sections: Attribute Properties and Advanced Attribute Properties. The Advanced Attribute Properties section includes two options. Attribute Code (no space, no more than 30 symbols). Input Validation for Customer (only enabled if the input type is Text Field). 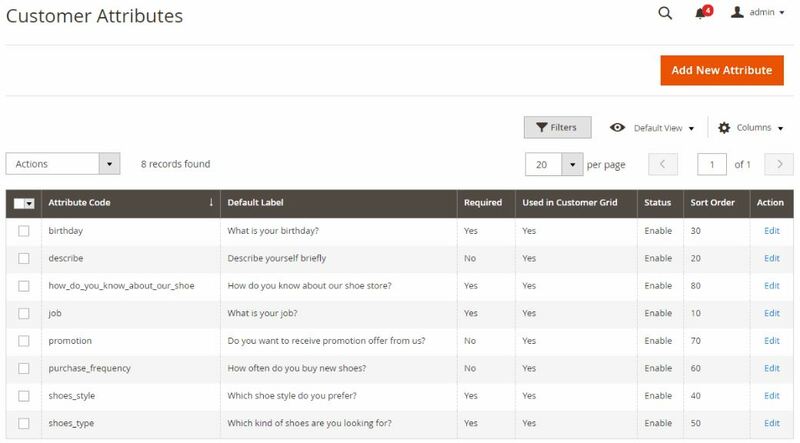 In Manage Labels, you can apply different labels of the customer attribute in each store view. BSSCommerce Customer Attribute for Magento 2 extension supports displaying customer attributes for multiple store views. In Display Configuration, you can set up the display of the customer attribute in both the frontend and frontend with six options. For example, you can apply the order of appearance of the attribute on the Registration Page, and decide to show the attribute on any page that supported by the extension (Registration Form, My Account Page, Order Detail Page, Customer Grid). Display on My Account Page. Display on Order Detail Page. Customer Attribute in Customer Grid. Customer Attribute in Customer Detail Page. Customer Attribute in Order Detail Page. Magento 2 Customer Attributes extension by BSSCommerce displays the newly created attributes in the form of additional registration fields. An extra section is added to the Sign-up Form with the name Customer Attributes, but you can easily customize the title as wish. The customer attributes are shown in the order of appearance set in the backend. When switching to a different store view, these custom fields also change if you already set up on the backend. After filling in the extra fields on the Registration Form and successfully creating an account, customers can go to their accounts and check or change this information on the Account Information tab. Magento 2 Customer Attribute extension by BSSCommerce is the best solution to create new customer attributes on the Registration Form. With these additional registration fields, you can collect any information right from the primary step of creating an account of customers. 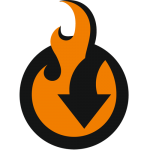 The extension comes with a good deal of only $79.00 for the Community Edition.